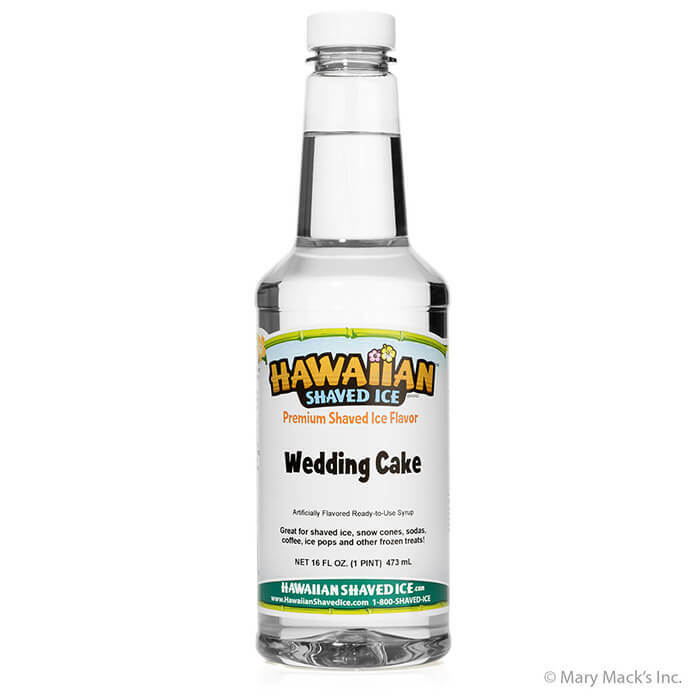 The great thing about our Wedding Cake shaved ice and snow cone syrup is that it�s so versatile. 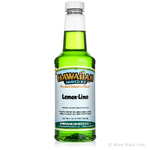 It�s great for a wedding reception, an anniversary, or just an everyday dessert at home. 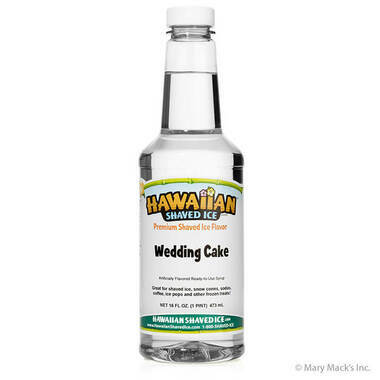 What does �wedding cake� syrup taste like? We would say that it is a blend of vanilla, almond, cake, and of course, frosting flavors. 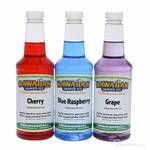 It�s a great clear colored flavor that is loved by both kids and adults. 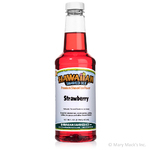 Don�t forget that you can also use the syrup in more than just snow cones and shaved ice. It�s also great in sodas, ice pops, and cocktails! If you�re thinking about serving a unique frozen dessert at your wedding, we recommend considering wedding cake snow cones. This pint size bottle is the perfect size to try at home. And, if you�re ready to stock up on Wedding Cake syrup for a special occasion, we sell it by the quart and gallon as well.